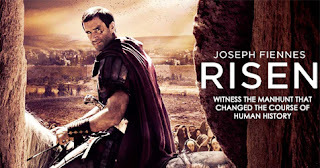 A Christian movie entitled “Risen” comes out today in theaters. It supposedly follows around a Roman soldier who is trying to determine whether Jesus really rose from the grave or if his followers stole the body. I wonder if the movie’s writers truly understood what was happening in the days right after Jesus’ resurrection, clearly answering this question, and if they put it in the movie? Do you know what it is? Do you know what was taking place that was ABSOLUTELY PROVING Jesus was the Messiah and that he was alive (risen)? Jesus started it the very day of his resurrection when he popped up beside two distraught travelers who were discussing his death, and said: “O fools, and slow of heart to BELIEVE ALL that the PROPHETS have SPOKEN: Ought not Christ to have suffered these things, and to enter (risen) into his glory? And beginning at Moses and all the prophets, he expounded unto them in all the Scriptures the things concerning himself” (Luke 24:25-27). Oh, my! God and Jesus wanted the world to have PROOF he was the Messiah by them understanding the prophetic things written in the Old Testament about him! THIS was the PREDOMINATE MESSAGE spreading like wildfire in the days and weeks and years after Christ’s resurrection. And it was making believers quickly of those who heard it! In fact, those two travelers ran back to Jerusalem that very night to tell Christ’s eleven disciples, and many others gathered there, the message! And then Jesus appeared in the midst of them, and said: “These are the words which I spake unto you, while I was yet with you, that ALL things must be FULFILLED, which were written in the law of Moses, and in the prophets, and in the psalms, concerning me. Then opened he their understanding, that they might understand the Scriptures” (Luke 24:44-45). So if you watch the movie “Risen”, see if this truth is in it. If the Roman soldier comes into contact with Mary, or any of Christ's disciples or believers, THIS is NO DOUBT the message that would have been told to him to make him believe Jesus was risen! So if it is not in the movie, then it is a false and deceptive narrative of what was REALLY taken place in those days – specifically, the world was being enlightened to the prophetic truths of God’s Holy Scriptures! Friend, it is not a crap shoot to believe in Jesus! There is OVERWHELMING PROOF! If you do not know these prophetic truths, please get the book “Undeniable Biblical Proof Jesus Christ Will Return to Planet Earth Exactly 2,000 Years After the Year of His Death” and learn the amazing and exciting message God wanted us to spread to the world, the message that will make believers out of your family and friends! Approximately 656 Weeks (Sabbaths) Remaining Till Christ's Return! 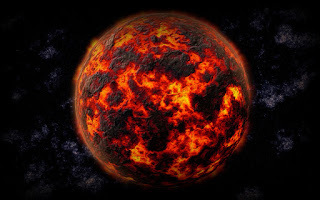 No one’s talking about it, not even today’s preachers; the entire surface of planet Earth will be on fire when Jesus returns in 12 years. Nothing on Earth will survive. That car you love … it will burn. That house you’re building … it will perish. The gold you’ve stored up … it will melt. I’m not here to sugar coat the truth, for everyone needs to hear it! God wants you to hear it! One night I had a dream, a voice told me that the end of the world would be very drastic and dreadful. He leads me in the spirit up to the top of a hill. Over the hill I see a very long path and a city lay down before me. Then I begin to walk down the path watching the entire city including all that dwell on earth. Everything is demolished. There is only ash with billowing smoke, all completely burned. I ask myself, “Not even a dog or any animal left alive?” Nothing, absolutely nothing remains. One would call it, nothing. After He forgives me He shows me growing floods of water running through the streets of the city. The waters drag people away and their screaming is heard going in and out of the water. There are balls of fire falling from the sky with great force destroying everything. Soon after the balls of fire, dark clouds bring lightning and thunder. It is very intense. Then He shows me a collapsing hill with great rivers of lava coming out of it, this lava washes away everything that dwells on earth. It’s time folks. It’s time to get serious. If you do not understand God’s word, please visit www.UndeniableBiblicalProof.com and learn the truth of God’s word. Don’t miss this chance to draw close to God and His ways of love before the day His fiery wrath is poured out on this world! Approximately 658 Weeks (Sabbaths) Remaining Till Christ's Return!